DOC: Final Results are In!! Here are the pics for the last challenge! Thanks to all who sent them in, read below for the challenge results! wow! Team Seahorses has always been in the lead, but on the last challenge, Team Sealions takes the win! Congrats! 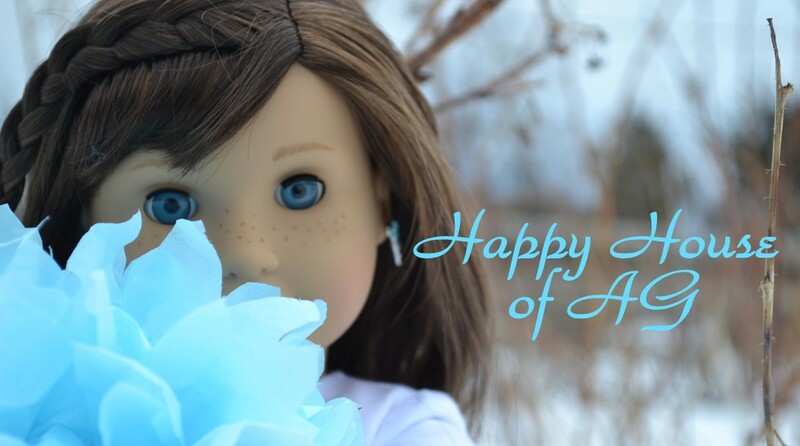 This morning, American Girl released a lot of cool items! I was quite pleased with some of these items, but disappointed at others. Today I’ll be showing you my top likes/dislikes, but first some updates…….. The final results for DOC will be coming tomorrow, and I started an Instagram for my blog and YouTube page, it’s @mydollneighborhood. This is one of my favorite items of all things released, it’s super cute. I think it could be a bit longer because it looks very poufy, but I love the embroidery details. Some people are complaining that the belt is attached to the dress, but I don’t think it matters. Lea’s beach picnic set is cute, it reminds me of Saige’s set. This set is SO cute, we needed a professional swimmer outfit! I need this! The only thing I’m worried about is containing the doll’s hair in that little cap. I bet you anything American Girl is using one of their bald dolls in this pic. Not sure how I feel about this new dog. I noticed a few things about her, first of all she has a lime green toy while all other dogs have purple. You may think she’s new, but she’s part of the American Girl Pet House line at Costco. If they are releasing those pets, I hope they do the same for the grey kitty who is sometimes in Costco stores. I think she’s the cutest and Mango (yes, Megan‘s name was chosen as my Himalayan kitten’s name) needs a friend! I bought Lea Clark and she arrived yesterday! I am so excited to be sharing these pics with you! Which was your favorite pic? Do you have Lea or wish you had her? Comment below! Hey everyone! This is the final Doll Outfit Challenge, but first we have points….. Thanks CutePolarBear for the picture of Amelia being a gymnastic coach for the career challenge! Ok, so this is the last challenge! Pictures are due next Tuesday, the 26th. And, the winner for choosing the last challenge is……. Rutvi! Rutvi suggested food themed, so get your dolls into their best cooking attire or food themed clothes. What is your doll’s favorite food? Maybe she can wear an outfit inspired by the food, it can even just be the colors! Hey guys, today I have a fun post for you guys! This post features the Himalayan Kitten, an American Girl item I got for Christmas. I had my eye on this $28 cat for a while, so I was very excited to receive her. Ok, so it’s been what…… 4 MONTHS SINCE CHRISTMAS? YES? ALREADY? and, this pretty kitty still doesn’t have a name!!! Ok, so in this pic my cat is obviously way to small to climb down these steps and if this is something she constantly struggles with, you can name her something like…… Mammoth. People often name their pets things they aren’t or are the opposite of. This fun pic shows ______ climbing a rope. So you could name your cat after someone/something brave or adventurous. In this pic, my cat is either scared, sneaky, really any other reason for her to keep half way hidden. And like all cats, she lands on four feet!!! So, what would you name your/your doll’s cat? Comment bellow cause I’m in desperate need for kitty names!!! Hey everyone, since I introduced you to my YouTube, My Doll Neighborhood, I got 3 subscribers and have posted 2 more videos (I now have 4). Today I uploaded a video on how to make doll phones, tablets, and iPods with a removable charger. I’d love if you checked it out! And here are the printables to create them! Please remember all printables are for personal use only and are not for resale. Hello guys, sorry for not getting the next challenge up sooner. The winners for suggesting the next two challenges have been chosen! Megan from A Barefoot Gal is the first one for suggesting Occupations! So your dolls can have any job they like! Be sure to get your pics in by next Monday!!! Thanks! My Doll Neighborhood on Youtube!!! 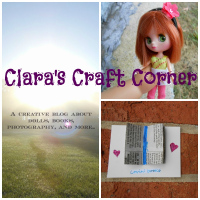 Last week I started a YouTube account for doll crafts. I’d love if you guys could pop over there and check it out! Click here to view My Doll Neighborhood on Youtube!!! I have two videos up so far and am working on getting the next one up soon! It would mean so much to me if you watched some of my vids, gave them a thumbs up, or subscribed to my channel! Sometimes I travel with my dolls and take pictures for my blog. Last summer I went to Maine with Lottie and did this same thing. I call this the Flat Stanley Effect. You know Flat Stanley, the little template you print out and color, then send to your relatives who take pictures of him and then send him back! I’m going to give you a little Flat Stanley Effect 101 now. Ok, so the first step is to find a toy/doll/figure that fits where you will be traveling. When I went to Maine, beforehand I bought the Light House Keeper Lottie for $19.95 because she fit the theme. Lottie’s are easy because they’re small. I carried her around in a bag during my journey. You can buy lots of cute items for your Lottie doll like clothes, accessories, and even pets! I picked up this cute tiger figure when I went to the zoo today. I didn’t even have to travel very far to be able to do this for my blog. The figure fits in the palm of my hand and my pocket. Please note that all these pictures were taken by a phone to show how easy it is to do the “Flat Stanley Effect”. You don’t need to take pictures of every single thing either. My tiger (help me pick out a name for him by commenting it bellow) is sitting on a gorilla statue. Is it a necessary photo to show where I traveled? No, but get the fun, or funny pictures too! Show connections to the theme your toy is/is from. Your toy can talk (or write I guess? ), like Lottie, but if it is an animal like mine it may not. Ok, maybe your animal will talk, but make sure it’s in a different color/font to show it’s a different person/animal/creature than yourself. Lil’ Tiger meets big Tiger!!!! Make connections to your blog’s theme. The Ocelot was hiding in this one, but they are similar to the Margay cat who you can purchase for your American Girl Doll. Another fun pic is my tiger riding the carousal on my favorite animal, the Red Panda. Here are some other animals I saw. Your toy doesn’t have to be in every shot. And here he is driving home!!! Comment bellow names for my Tiger figure!!! Wow!!!! So many people entered the Fantasy challenge!!!! Comment below the challenges you want to have, and I’ll pick my favorite two for the last challenges. It was hard to chose my fav pics, so I’m going to include all of them bellow. And now for the points!!!! Wow!!!! Team Sea Lions’ has almost tied with the Seahorses!!! Great job everybody!!! This is amazing because it was 8-21 points last time! And remember to comment the categories you’d like me to have next! You have until Monday to comment them!